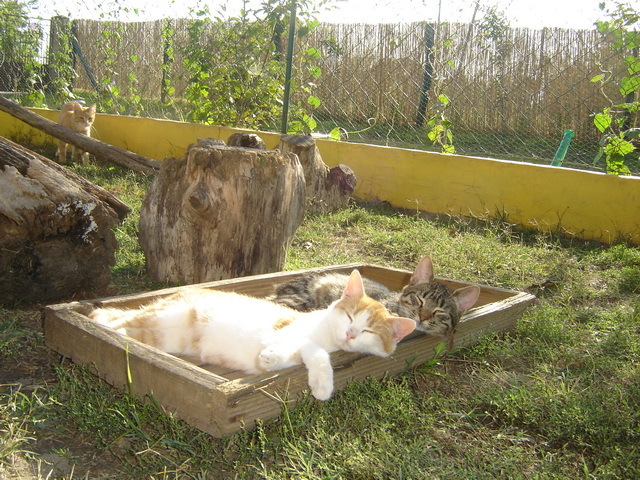 Serbia: October News From Cat Shelter ‘Felix’ – Winter Is Approaching. 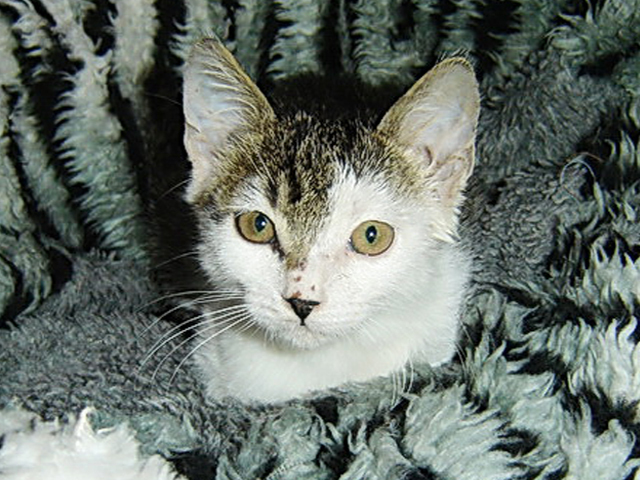 Below is the latest news from Danica at Cat Shelter Felix. This is a big ask, but if you are able to provide any financial help then it will be more than very much appreciated. We are currently trying different other ways to get in much needed financial help so that all the building repairs can be sorted and paid for before the winter really arrives, but some of these applications are being delayed. 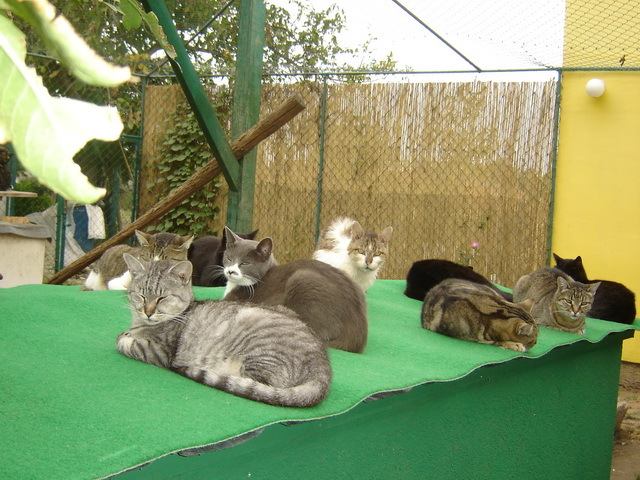 With over 20 new cats arriving at the shelter, this means that there are 20 additional mouths to feed, as well as paying for the building work. 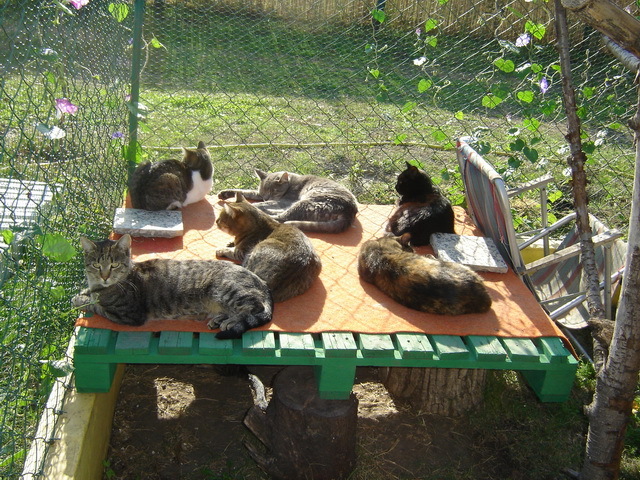 So please give anything you can; we do not like to have to ask for money, but with Winter just around the corner, every penny will be spent very wisely helping the cats and paying for essential repair work at the shelter. ”With winter rapidly approaching, we are racing against time to get the shelter ready for the cold months ahead. 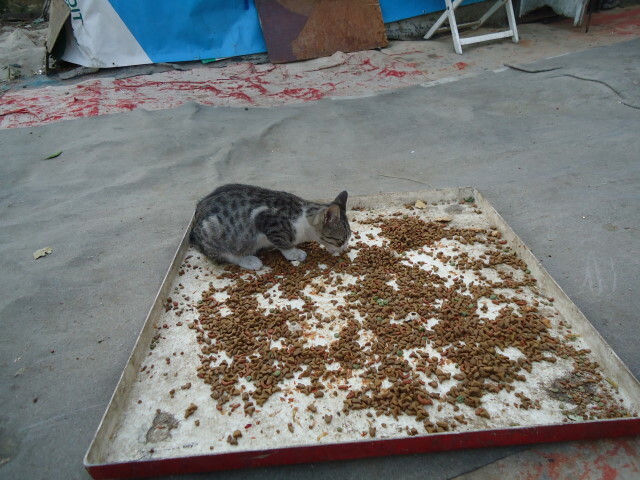 The new insulation layer has been added to the interior walls of the indoor enclosures, the exterior doors of the cat rooms have been strengthened and everything is hopefully strong enough to endure whatever nasty weather comes along. 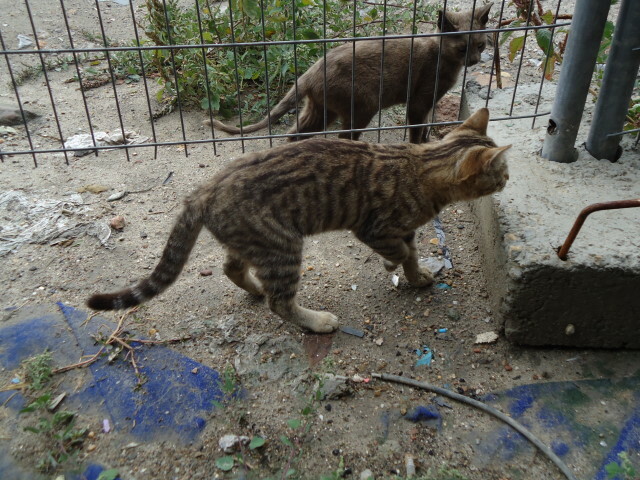 More than 20 new kitties have arrived at the shelter over this year, so there’re many more mouths to feed, which wouldn’t be such a problem if it wasn’t for the enormous costs of shelter repairs. 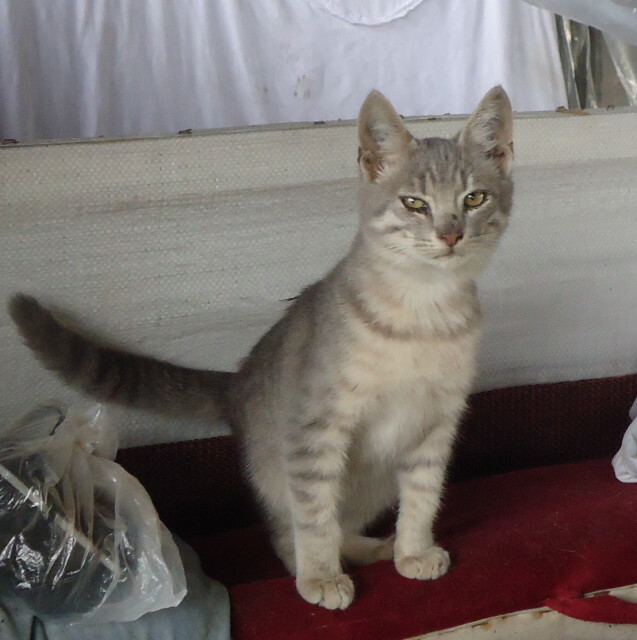 I’ve already reconciled to the fact that most of the people who find a cat or a kitten can’t keep it, but instead try to find another temporary or permanent home for that animal, and forget about it instantly as soon as it becomes someone else’s worry. 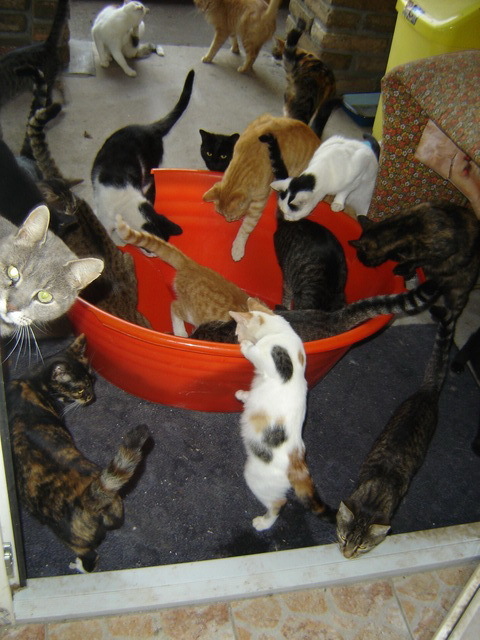 Out of more than a dozen people whose kitties I’ve taken in this summer, only a few have ever asked about them. What do you know! Nihil novi – nothing new under the sun. 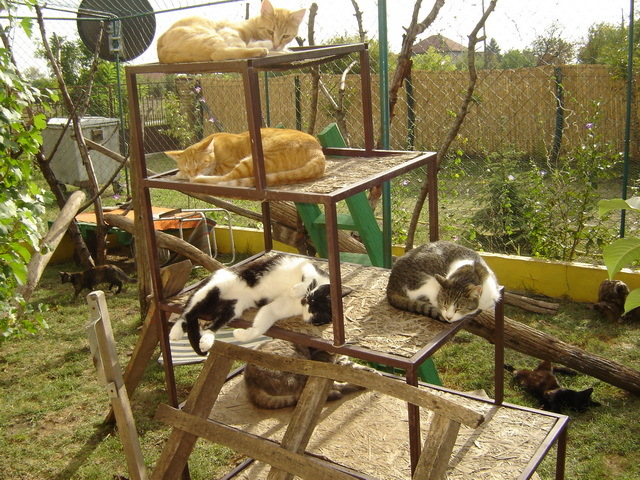 All of the kitties in the shelter are safe and loved for life, but they do need help. 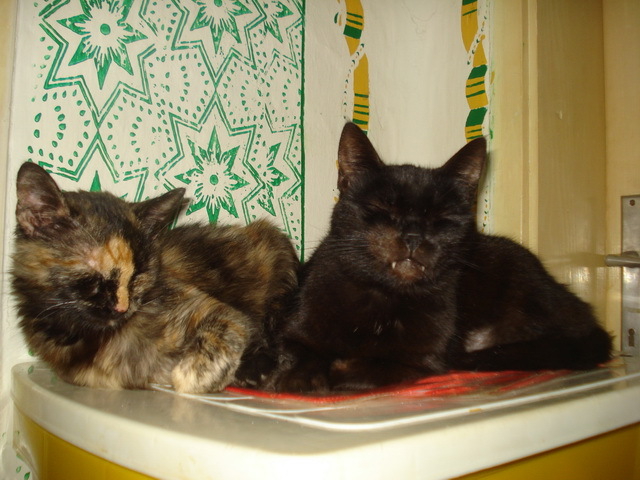 I’m not posting dramatic pictures, my cats aren’t skinny and sick generally, they do not fend for themselves, their lives aren’t hanging by a thread but their future depends on donations, and the kindness of strangers, nevertheless. While every appeal for help can pull on people’s heartstrings, it’s obvious that everyone is more compelled to donate when the animals look horrible and it’s somewhat comprehensive. 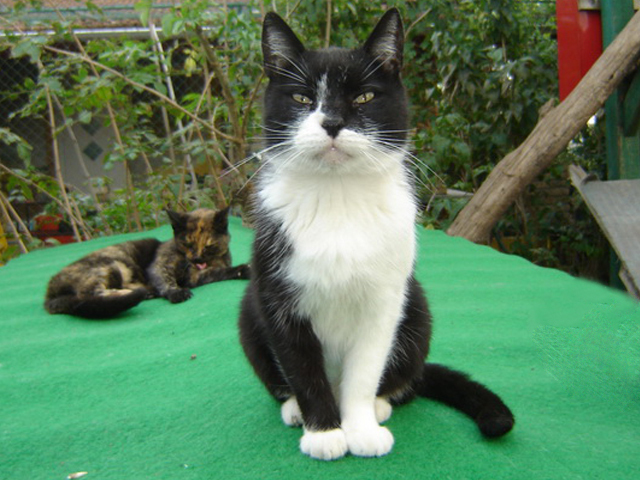 Thank you so much for helping my kitties! China: Conference organised to discuss the importance of animal welfare in the role of veterinarians in China. Vets and animal welfare experts from around the world are gathering in Suzhou tomorrow for a three day conference to discuss the importance of animal welfare in the role of veterinarians in China. The Chinese Veterinary Medical Association’s 3rd China Veterinary Conference features speakers from China, the UK, and Thailand. 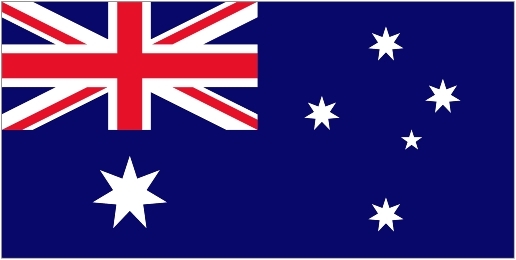 The conference has been organised by the Chinese Veterinary Medical Association (CVMA) in partnership with organisations including Animals Asia and The Jeanne Marchig International Centre for Animal Welfare Education (JMICAWE). The conference comes at a time when increasing globalisation, the development of industrialised farming, and a burgeoning pet industry sees China’s veterinary profession coming under increasing pressure to meet international expectations on animal welfare standards. The conference will cover animal welfare issues relating to a range of industries and species including companion animals, livestock, laboratory and wildlife species. Topics include humane education, meeting the OIE minimum competencies in animal welfare, humane slaughter, animal welfare of livestock, animal welfare in scientific research, and improving welfare in veterinary clinics. The conference is supported by Animals Asia, the Hong Kong Society for the Prevention of Cruelty to Animals (HKSPCA), and the World Society for the Protection of Animals (WSPA). In advance of the conference, a week of collaborative clinical skills and welfare teaching was delivered to undergraduate veterinary students at Nanjing Agricultural University. The training presented key animal welfare and clinical skills teaching utilising cutting-edge humane education techniques. This programme was delivered by Heather Bacon and Hayley Walters from the JMICAWE and Yan Qing and Pei Xin of Animals Asia. 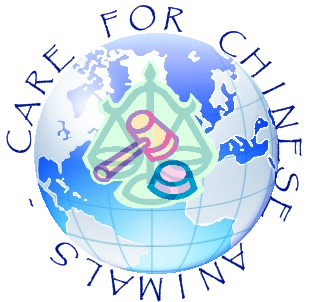 This site is a project of the “World Wide Legal Action 4 Animal Rights” (LAAR), working in collaboration with animal advocates in China to inform and educate the general public about Animal Rights Issues in China. 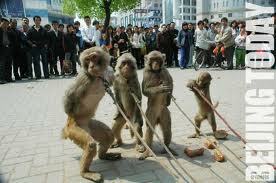 This site’s aim is to network and raise support to the animal rights activists working within China. 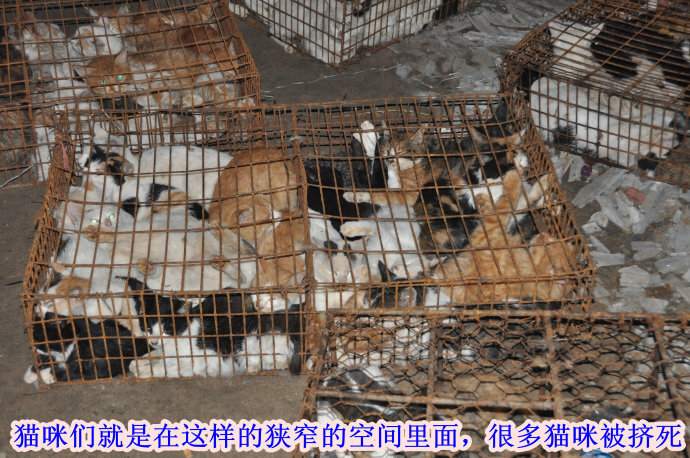 The Chinese Animal Rights activists are doing a great job in China to inform about the dog/cat meat and fur trade, to save the animals. Show your support. In addition, China has a law to control animal epidemics, but this has been written to maintain the health and welfare of people, rather than the welfare of animals. 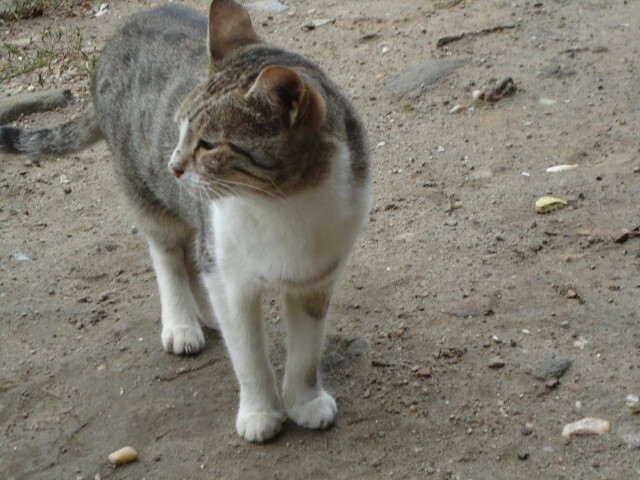 This community intends to bring people together who care too for animals in China, and support campaigns to help them. Please, join us and invite your friends too! For the love of Chinese animals. 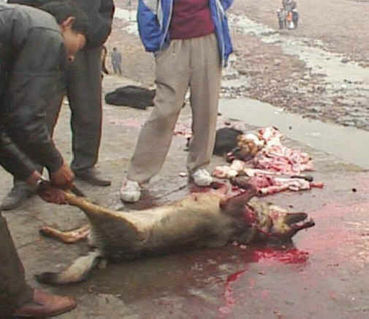 Norway: New Horrific Images in a Decisive Year for the Fur Industry – Close Them ALL Down ! Once again horrendous animal suffering has been exposed on Norwegian fur farms. After ten years of delay, the fur industry has failed in its last attempt to save its own skin. See a small collection of photos collected during our 2012 investigation. Link for images provided at very end. The fur industry has been given countless opportunities to “improve animal welfare”, says Odd Harald Eidsmo from Animal Protection Norway. – Yet for the fourth time since 2008 we are able to uncover gross and widespread animal cruelty on Norwegian fur farms. The fur industry has failed completely in its attempt to improve the conditions for the animals. Animal Protection Norway and Network for Animal Freedom today reveal new horrific images from Norwegian fur farms. 24 fur farms from Troms in the north to Agder in the south have been inspected unannounced during the summer and the autumn. Thousands of pictures and hours of video documentation show that mink and foxes suffer on Norwegian fur farms every single day. The inspections document how the fur industry’s attempts to clean up have been fruitless: Injured and suffering fur animals were found on all the inspected fur farms. Some of the findings were animals with legs, tails and ears bitten off, painful bite wounds and compulsive behaviour. On a farm in Hedmark, fox pups were living in a cage with their dead, rotting mother. In Telemark the inspectors found six mink with their hind legs chewed off. In Trøndelag several mink lived with severe flesh wounds on their heads from being attacked by other mink over a prolonged period of time. -In 2002 a united parliament supported the claim that the fur industry had to achieve considerable improvements in order to avoid being shut down, says Per Arne Tøllefsen, press secretary of Network for Animal Freedom. Ten years on, the animals are still living in the same shameful conditions. We now expect the government to initiate the dismantling of the industry. A ministerial committee is currently evaluating whether the industry should be banned in Norway. YES – NOW – IMMEDIATELY – STOP THE ABUSE !! *** WARNING *** – VIDEO SHOWS SEVERE ANIMAL SUFFERING for the sake of some Fur hags ! 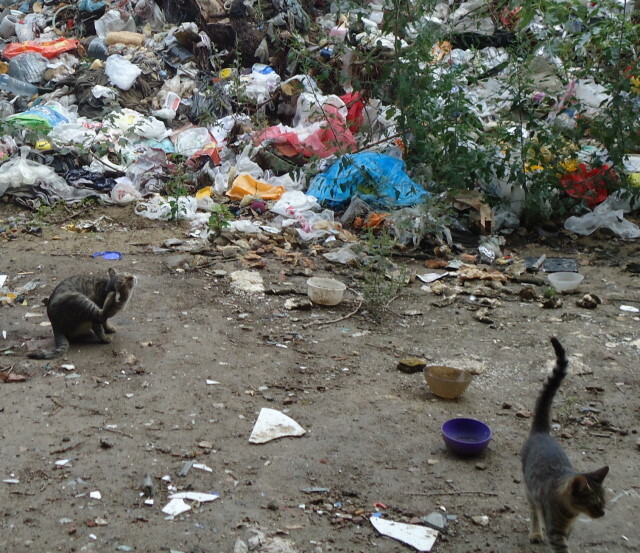 Vietnam: ANOTHER CHANCE TO HELP STOP THE EVICTION – Please E Mail Now – Sample Letter Given. Right now, Vietnam’s Ministry of Agriculture and Rural Development is preparing a report on the eviction for the Prime Minister who will decide the fate of our sanctuary. We have an opportunity to convince the ministry that evicting Animals Asia’s sanctuary and its 104 bears is unjust and wrong at every level. We’re told that they plan to submit their report on 26 October. That gives us very little time to make our case. Please, please send an email today and then please share and ask your friends to do the same. Your voices really do count. I write to express my concern that Animals Asia’s world-class bear sanctuary is to be evicted from Tam Dao National Park by the Ministry of Defence. To close down the only bear-dedicated rescue centre in Vietnam, would send a signal to the international community that Vietnam is not serious about ending bear bile farming and rehabilitating the bears that have suffered. The Vietnam Bear Rescue Centre should be the pride of Vietnam, and a sign of the prestige of the Ministry of Agriculture and Rural Development. Please advise the prime minister to overturn the decision to evict the bear rescue centre and honour your agreement. UK (England): Planned Badger Cull By the Government Now Stopped After Massive Protests – Another Government U Turn. The UK government has announced it will delay a planned cull of badgers in England until next summer, after widespread protests against the scheme. As with so many political issues in the UK at the moment, the government is doing more U turns than there are on an Alpine pass ! The government is avoiding the issues of vaccination – a major recommendation for solving this problem. The government is also refusing to give any real time to the issue of cross-country animal transport; an issue that welfare campaigners have spoken about for years. In their opinion it is much easier to just kill all the badgers as the justification for solving the issue of Bovine TB. The welfare campaigners argue that if you transport cattle from Southern England to the North, and one may have BTB, then the disease may be passed into a previously un-affected area. What do the government say ? – kill the badgers in the North; they must be the carriers. It is not a simple solution; but vaccinations is one way to prevent further disease spread. So why are the UK government not doing it ? – MONEY, one has to ask. The vast majority of British people want badgers AND cattle vaccinated. The British people have reacted and the cull has now been stopped for a year at least. Yet another government U turn; though they would say otherwise. Why are badgers implicated in spreading TB? A: Scientific evidence has shown that bovine TB can be transmitted from cattle to cattle; from badgers to cattle and cattle to badgers; and from badger to badger. Badgers are thought to pass on the disease to cattle through their urine, faeces or through droplet infection, in the farmyard or in cattle pastures. However, it is not clear how big a role badgers play in the spread of bovine TB since the cows can also pass the disease on to other members of the herd. 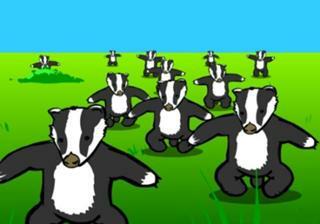 Sign the Stop the Badger Cull e-petition and encourage your friends and family to do so too. If a citizen of the UK; Urge your Member of Parliament to attend the debate and vote against the badger cull. Please contact your MP today. 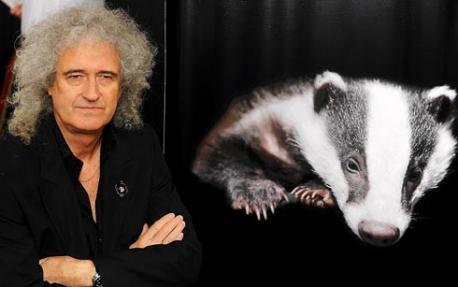 ABOVE – ‘Queen’ rock band legend guitarist and Badger fan Brian May speaks out in defence of the badger with all his campaigning – WELL DONE BRI !!! 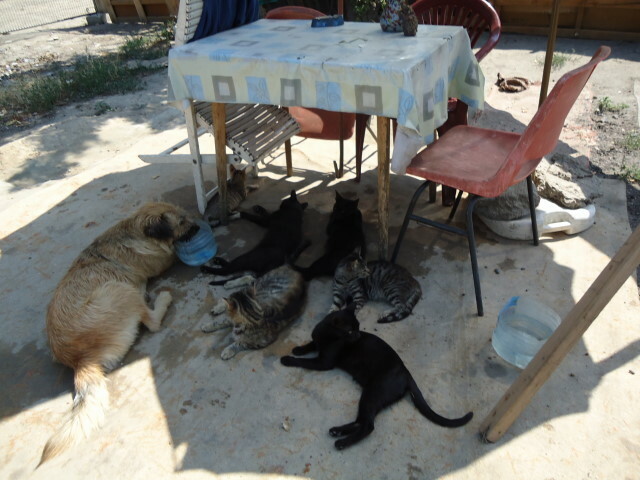 Serbia: Borka’s Cats – Help Required From Ela With Facebook Page – Can You Help ? – E mail Contact Detail Given. 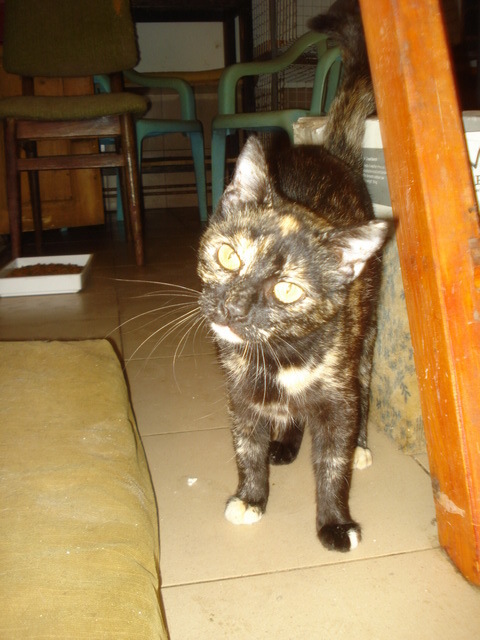 but she is after more help with getting this site sorted – can you help please ? 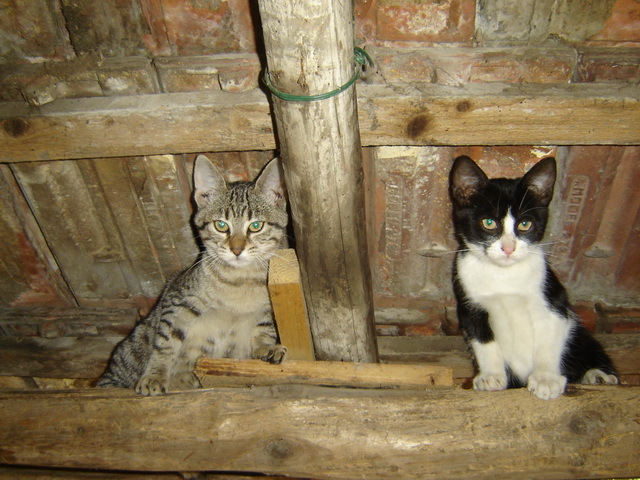 Please have a look at the Borkas cats which are shown in the following photos. 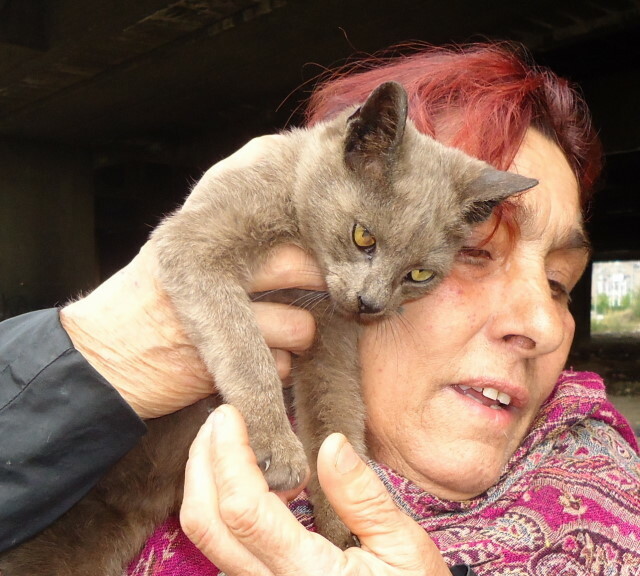 They are cared for by a Roma lady who belongs to people who have been moved on by the authorities. 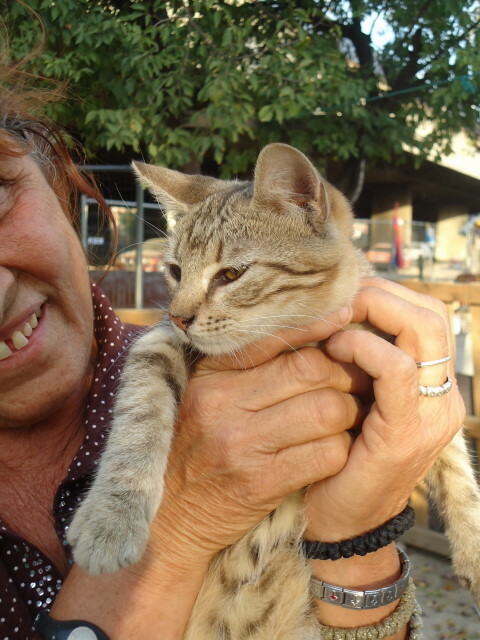 She is one of the only people to remain and she feeds about 60 cats. 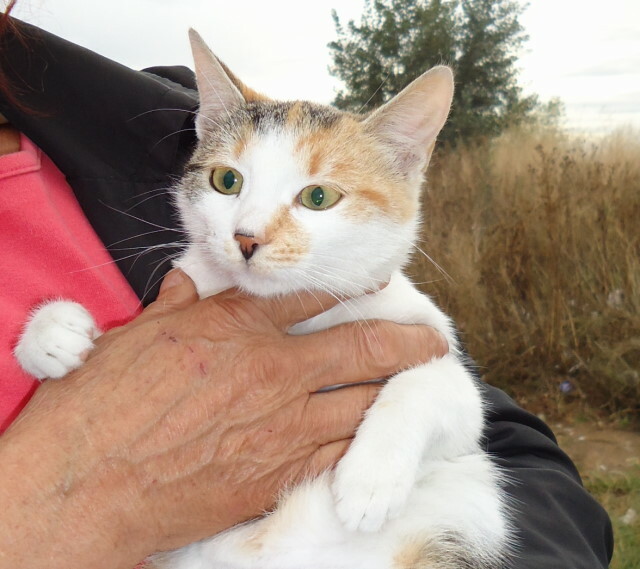 If she is moved then all the cats will be left and may be rounded up and taken to the local pound to die. As we currently understand, Ela is establishing a link on her page that would allow you to donate. 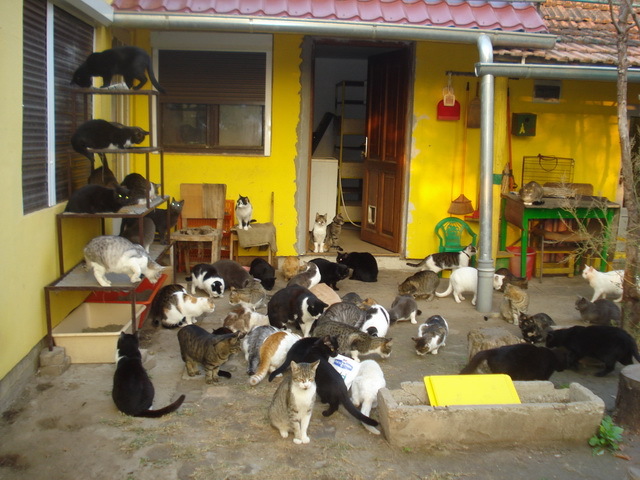 The appeal would be for the cats and their carers who help with feeding, sterilisation and vaccinations. E mail contact can be made with Ela at ela.josephs@btinternet.com should you wish to help immediately. 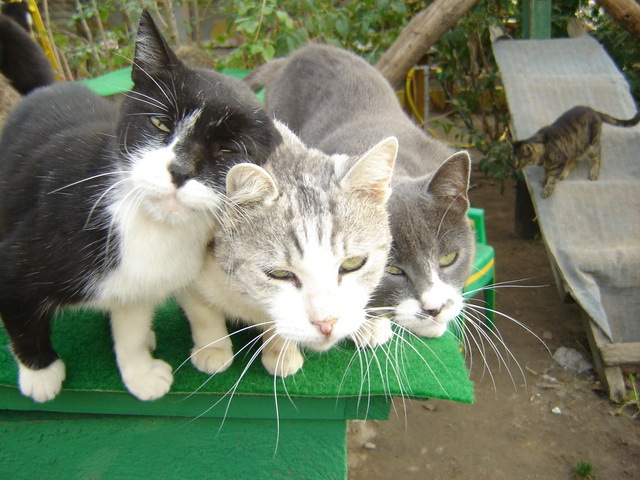 The cats in this album live in a slum settlement from which Roma people were forcefully relocated and forbidden to take their animals with them. 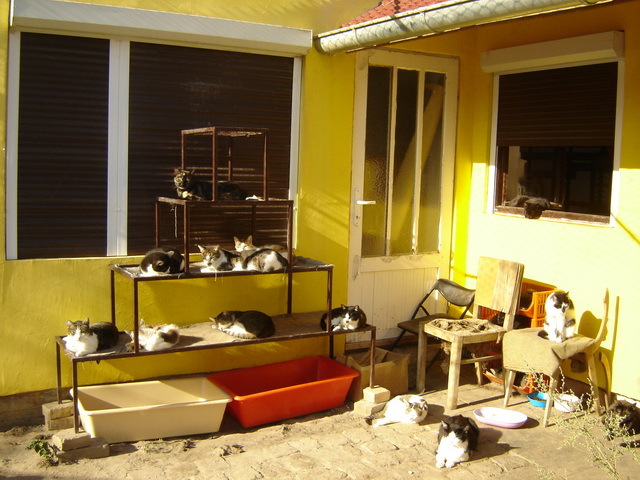 Borka is one of the few inhabitants who remained there and she is the only one who looks after about 40-50 cats. She also has two dogs. 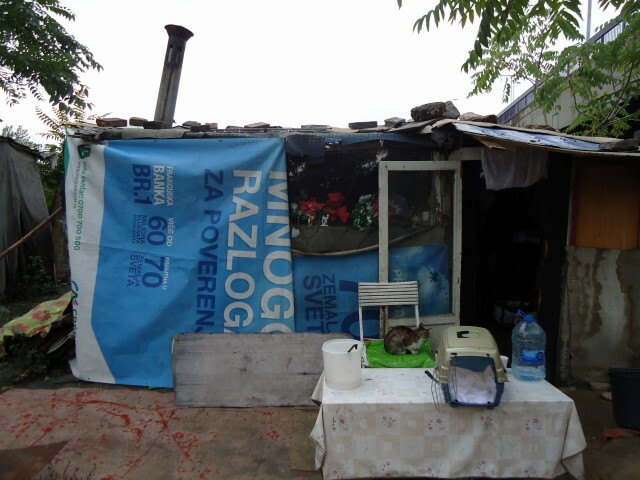 Borka lives in a makeshift shack with no electricity and running water. 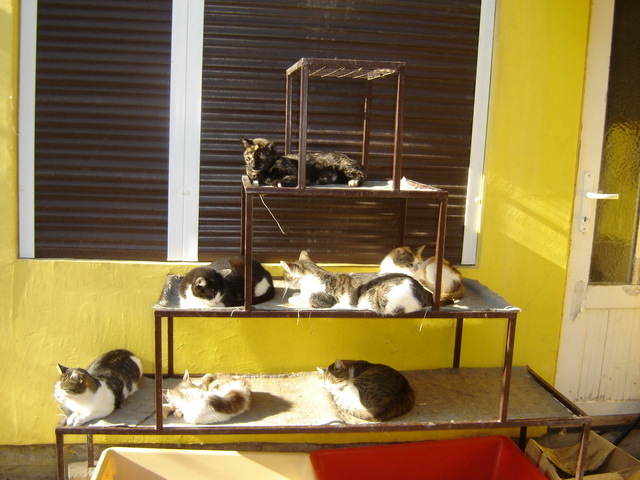 Understandably, she has no financial means to provide food for so many cats. 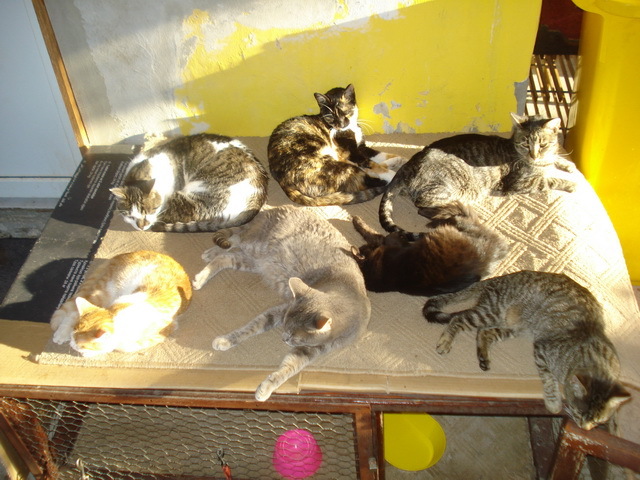 Spay campaign is under way and so far 15 females have been sterilized. 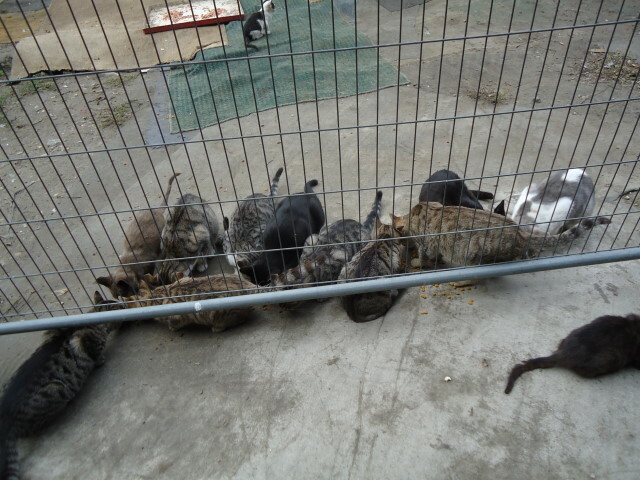 Most of these cats are tame and they desperately need food an home. 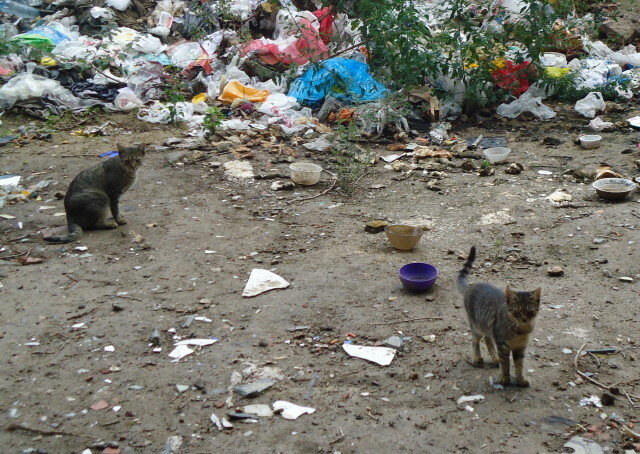 Soon there will be no one to feed them when the authorities remove the remaining people who are still living there. Please help them!